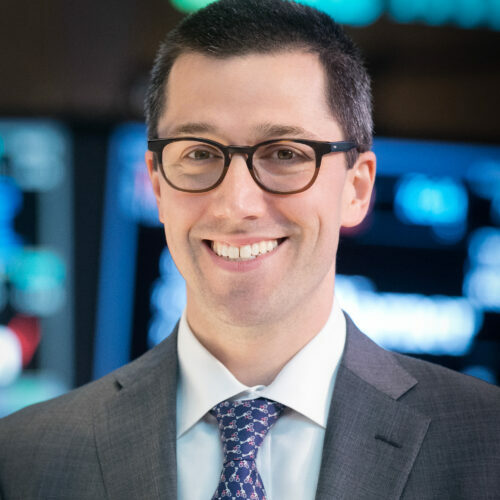 Michael Blaugrund is the Head of Equities at the New York Stock Exchange, a wholly owned subsidiary of the Intercontinental Exchange (NYSE: ICE). Blaugrund is responsible for NYSE’s equity trading businesses, including the New York Stock Exchange, NYSE Arca, NYSE American and NYSE National exchanges. Most recently, Blaugrund was the Director of Business Development at Tower Research Capital, a leading proprietary trading firm, where he focused on expanding the firm’s global market access and developing strategic assets. Prior to that role, Blaugrund led U.S. equity product strategy at NASDAQ OMX and held product management roles at Thomson Reuters. Blaugrund holds a B.A. in government from Harvard University. He is also a Chartered Financial Analyst (CFA).